Our mural is finally completed and we would like to thank Vanessa Graham for this. 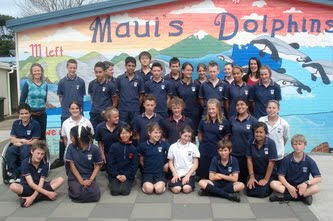 Room 23 has also done a huge job of having this mural and making a diffirence by adopting a dolphin. This mural is showing people not to litre near the sea and to help make a difference. Theres aproximently 111 Maui's Dolphin left.